Did you know that Dingle is actually a mispronunciation of the Irish word for fortress – Dingle sounds like a more fun version apparently! 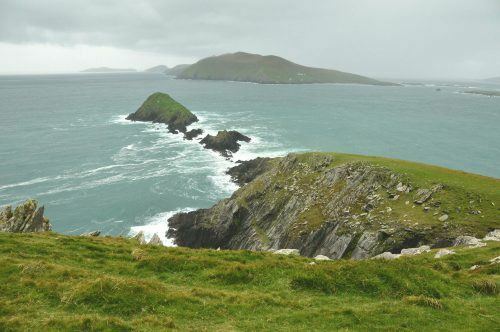 And the Dingle Peninsula will be appearing in the new Star Wars film that comes out December 2017? And that you can learn to make handbags in Dingle? 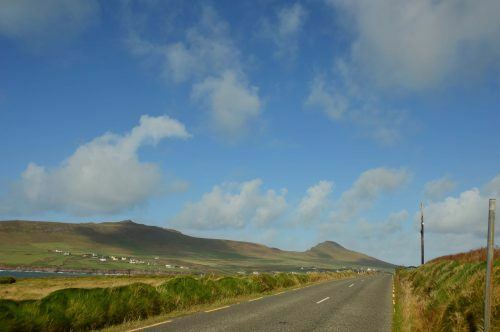 I tell you what it is all going on around Dingle Bay and the best way to experience it is a Dingle Peninsula Drive. You definitely want your own car to get around the Dingle Peninsula. You will then have to pass the giant tour buses that come screaming along the narrow hedge roads which is kind of terrifying but you will be ready to go when the Irish sun makes one of its unexpected appearances and turns everything into an instagram opportunity! The climate itself is actually quite mild thanks to the Gulf Stream but Irish weather has a mind of its own! Click here for some great Road Trip Tips for Ireland! 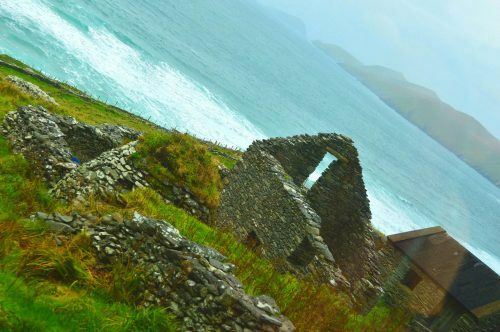 The Wild Atlantic Way is a drive down the west coast of Ireland – it is about 2000km long due to the indented coastline. 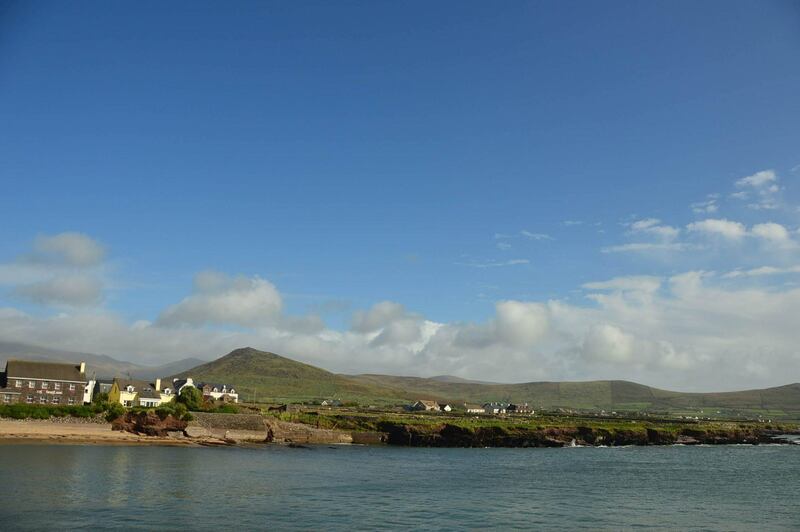 And it takes you from Killarney to Dingle – the easiest way to start your drive around the Dingle Peninsula. All signs are in both English and Irish so it is quite easy to get around. You will see alot of these guys on the road! The first thing you will see is lovely Inch sand beach. These long sand dunes are gorgeous – especially in the right weather. Then you will get into Dingle harbour and the town of Dingle – this is a good time to stop and go for a wander as you can see below. There are loads of lovely artisan craftspeople with workshops etc around this area that make for some lovely stops (again see things to do below). Then back in the car to drive around Slea Head and the area where the movie Ryan’s Daughter was filmed. 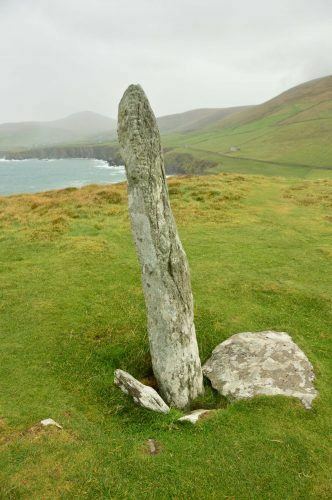 You can then head north to Dunquin or Dunmore Head – the most westerly part of Europe when you include Britain and Ireland (otherwise the most westerly point is in Portugal – lots of people vying to be the most western point!). Park the car and you will immediately have some stunning views over the beach to your left as you walk towards Dunquin. It is then a breezy steep walk up to the most Westerly point exactly! I was there in October and there was one heck of a strong wind – I kind of got the impression that this is fairly typical weather! After having all your cobwebs driven out get back in the car and head north to Smerwick. 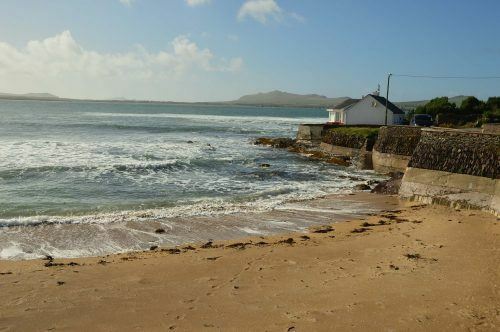 After a stroll around the harbour, potentially a seaweed bath (See below) and/or some lunch you can then either drive further North to Brandon Creek or head back down to Dingle. Along the way don’t miss popping in for a tour of the Dingle Distillery (see below). Did you know that quite a bit of Game of Thrones is filmed in Ireland? If you’re a fan of the show don’t miss this great read on the Ultimate Game of Thrones Tour Ireland. We didn’t spend long in the town of Dingle. There is a fishing pier and a marina although tourism is now the number one activity. There are also some cute multicoloured houses that are dying to have their photo taken – and a lot of pubs!!!! It is very cute. Visit Louis Mulcahy’s Pottery Workshop/Cafe/Showroom for some stunning items and lunch! Louise also runs the pottery experience – a course where you can learn and make your own pottery – as well as workshop tours. Louis’ stuff is really lovely so make sure you pop in and have a look! 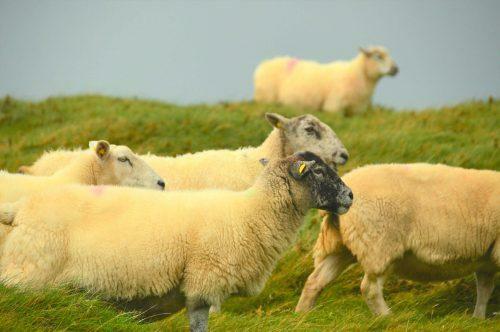 Who knew – Ireland and handbags? Not the first thing to cross my mind when it came to the south west of Ireland! I went and visited the workshop of Conor Holden just outside Dingle. For almost 30 years Conor and his team of artisans have been making handbags and accessories and they are gorgeous! 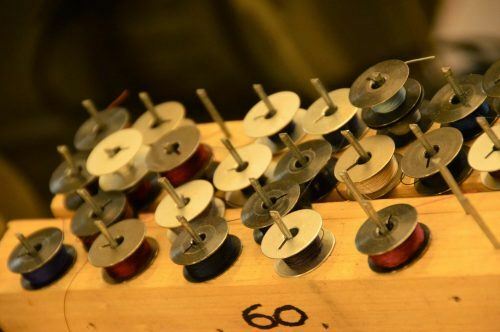 They handmake everything on site – you can even visit the workshop where you can see the handbags being made. 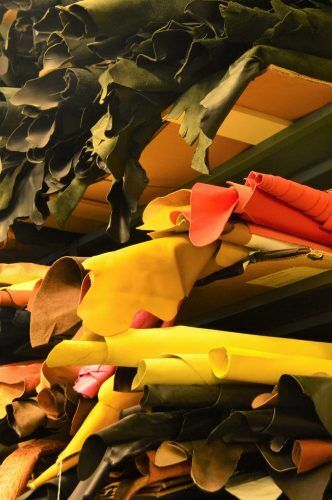 They source their leather from a tannery in Italy and are the only place in Ireland to make handbags. Most interestingly Conor runs a week-long course where you learn how to make a handbag – and will have a handbag all of your very own by the end of the week! Apparently, you don’t need to have any skills to join the course. Something different and interesting as a souvenir! 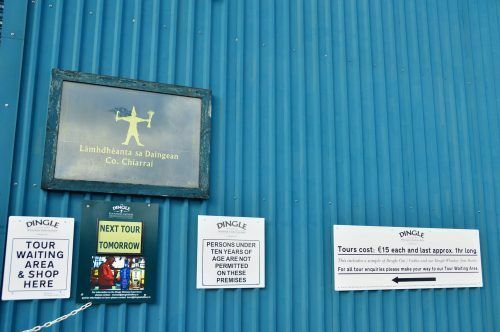 The Dingle Distillery was set up in 2012 with the objective of being an Irish based craft whiskey producer. Most distilleries are either gone from Ireland or owned by giant companies. The Dingle Distillery timed things very well with the explosion of craft brewing and the development of the spirits market. As their whiskey needed 3 years to age they decided to make some Gin to keep themselves busy. Well, they have now found themselves with a fantastic gin that is selling very well! 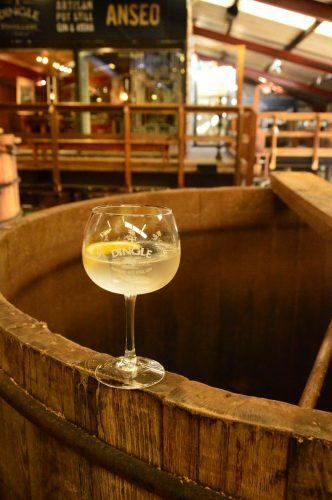 Check out my post on Killarney and its Gin Bar – Irish Gin is now a fully blown thing! A great Gin and tonic! The tour of the distillery is great fun. 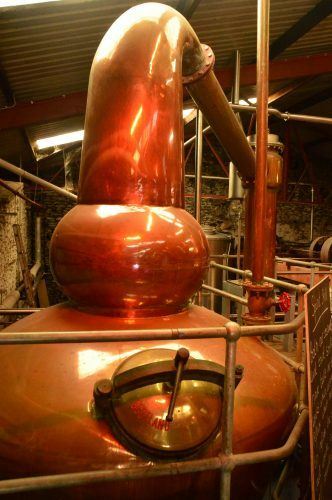 You are taken past the giant copper kettles as the distilling process is explained. Importantly you get to try a fantastic gin and tonic! You can also try their vodka as well – I chose to stay with the G&T! The bottles they use are stunning. It is wonderful to hear of such a local craftsman story that has turned out so very well! The Distillery runs tours 3 times a day and it costs 15 euros. I have to be honest – I didn’t actually take one of these as it was too cold! But apparently this is a hot seaweed bath and you can follow it up with a massage. If you do it drop me a line and tell me what it is like! Dingle Bay is known for great oysters and great mussels. We had a great lunch at Smerwick cove in Tigh at the pub that has the seaweed baths (I am completely not able to tell you the Irish name!). Anyway, I had some amazing and oh so fresh grilled hake for lunch. My kind of fish and chips! 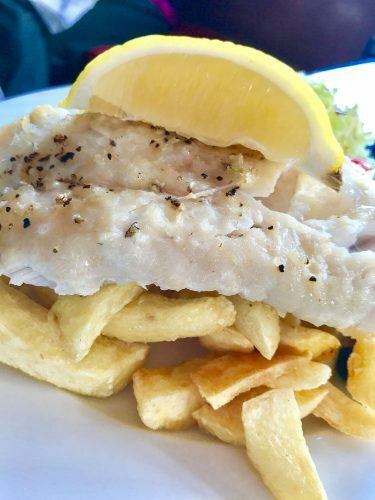 There are also lots of places to eat in Dingle itself – Out of the Blue Seafood and the Chowder Cafe have good reputations. 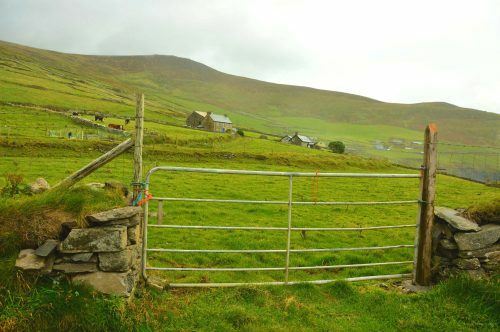 There are 2 airport options fo Dingle. 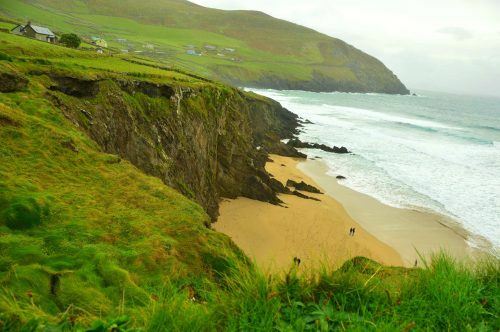 You can fly into Kerry airport which is probably about a 45 minute drive from Dingle. This is a very small airport that doesn’t have that many flights – and most of them you have to fly Ryan Air ugh! The other option is Cork which has more flights but you will be looking at at least a 90 minute drive to the town of Dingle. 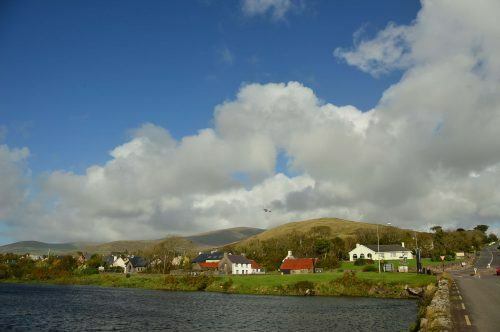 Dingle is also only 2 hours away from the lovely Shannon – check out this Perfect 36 Hours in Shannon Guide. You really do need a car to get around the Dingle Peninsula. It is too big to walk (and the Irish weather won’t help!). There are tour buses but you are then a prisoner of their schedule. You want to be able to hop out of the car the moment the sun comes out! Even the gates are cute! 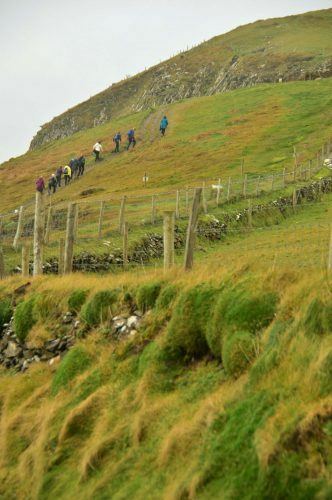 Whilst in Dingle I used the fab Hidden Ireland Tours to get around – they were brilliant! Thanks to TBEX Ireland, Tourism Ireland and Hidden Ireland Tours for sponsoring my tour of the Dingle Peninsula. Next articleWhat to Do in Killarney Ireland – 7 Things Not to Miss!